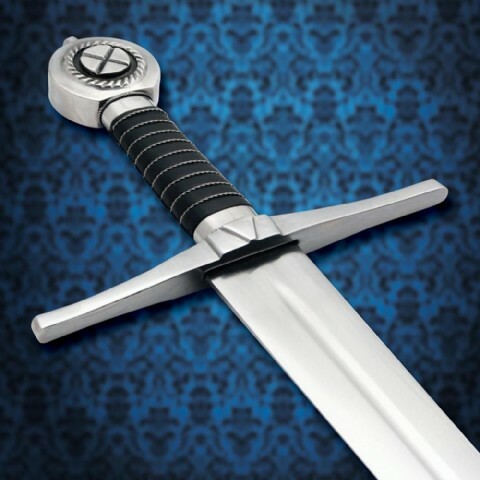 This heroic sword is as powerful as the man himself. 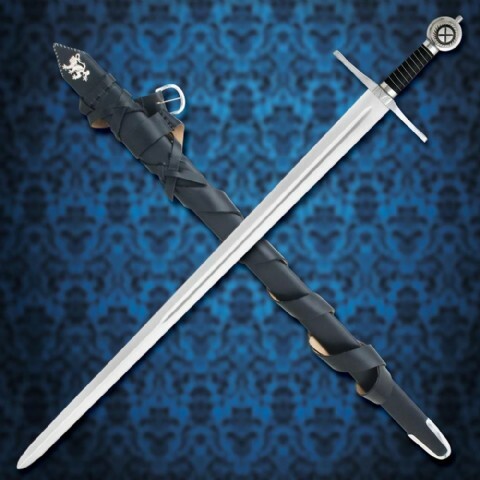 Used during the period of Robert the Bruce who led the Scots during the first of the Wars of Scottish Independence. Eventually independence was won and he became a national hero. 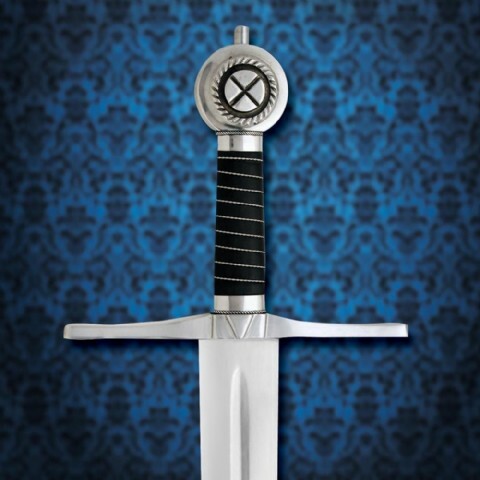 Beautiful pommel emblazons the Cross of St Andrews. Hearty grip wrapped in soft black leather and held in place by corded silver chain. Massive blade 91cm x 5cm. 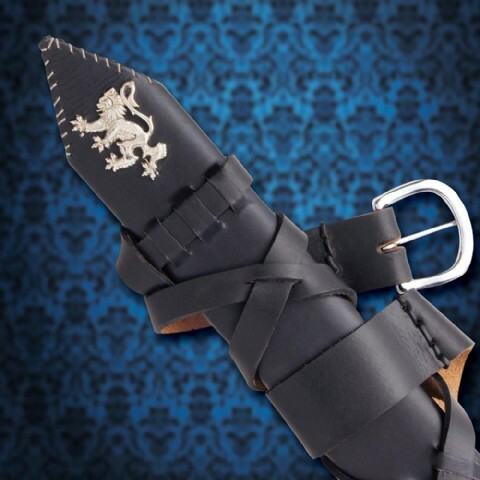 Matching thick black leather scabbard sports a silver Lion of Scotland at the throat and a rounded silver metal shoe at the tip. Has a bonus thick leather belt 3.8cm x 46cm.